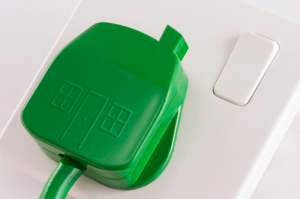 New research has revealed that a new government energy efficiency scheme could end up adding ten per cent to the average household energy bill. The study from Encraft showed that the Energy Company Obligation (ECO) could wind up hitting customers in the pocket as the cost rockets to more than double the original estimate. The ECO scheme is picking up from where previous government subsidy programmes Carbon Emissions Reduction Target (CERT) and the Community Energy Savings Programme (CESP) left off. Under the new scheme, energy companies have a duty to deliver 27.7 million tonnes of CO2 savings by 2015: with the Government estimating that energy firms would need to spend around Â£80 per tonne of CO2 - at a total cost of Â£1.3bn each year. However, in-depth research from the sustainability consultancy firm Encraft, highlighted that the sister programme to the Green Deal found that the cost of firms would actually be closer to Â£180 per tonne of CO2 - a spending ofÂ Â£2.9bn. Encraft managing director, Matthew Rhodes, said: "These hidden costs might include refitting kitchens and moving services and even DECC admit this could easily amount to Â£5,000 per project. Our model used much more accurate cost estimates, particularly for internal wall insulation." Mr Rhodes added that an additional cost to the energy firms could end up being levied on the consumer's energy bills - at an equivalent rate of a ten per cent increase in bills. The ECO scheme is actually designed to help the most needy in making their homes more energy-efficient in a mumber of ways, from ensuring the boilers or heating systems in their home are at an acceptable standard, to providing an adequate level of wall insulation. However, the news that bills could actually increase as a result of this has caused concern amongst some experts. In fact, sustainability expert, David Strong, went as far as to say that there could be a "back bench revolution against anything that would suggest a rise in consumer bills."